We’ve been in our house for over 6 years now, which seems to be the lifespan of most of our appliances. We live in a VERY hard water area, which causes us no end of problems with limescale, I’m sure crusty pipes were part of the reason our dishwasher gave up last week and why our washing machine seems to be on it’s last legs. I’d just started to google for a new washing machine when Servis came to my rescue with the opportunity to review the 8kg HydroDrive, which looks to be the perfect family washing machine with a drum a third bigger than standard machines. I like the idea of being able to wash big loads, half loads and the super fast cycle will be very useful for turning school uniform around quickly. Servis HydroDrive technology uses 60% less electricity than a standard A rated machines which reduces water consumption which in turn should save me money. I’m quite excited about trying it out, anything that saves me money and time is always going to be a winner. Did you know Servis products have been in homes since 1929? Do you have any memories of Servis machines? 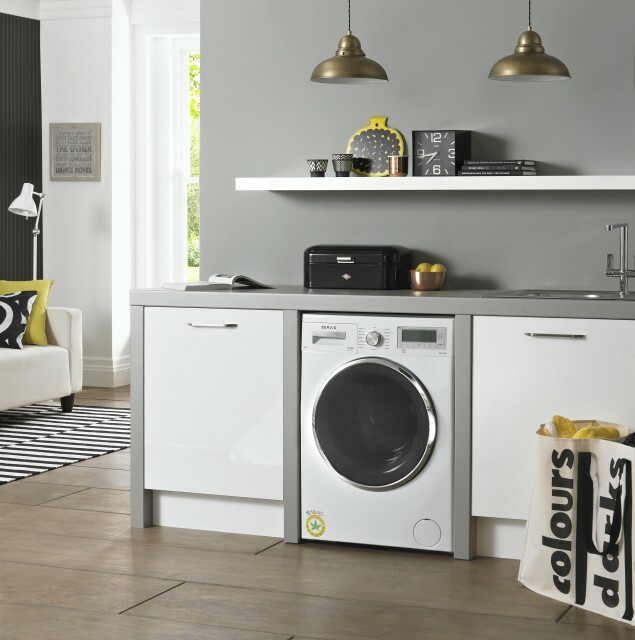 Servis have recently relaunched in the UK with a brand new look, I can’t wait to see how my new black washing machine looks in my white kitchen. I’m also loving these retro fridge freezers, which colour would you choose? Full review of our Servis washing machine coming soon, I can’t wait to tell you how we get on. Follow Servis on Twitter and Facebook to stay up to date with developments. We are part of the Servis Blogger Ambassador Programme.